this is a very frustrating post for me to write. i have admired Physicians Formula for many years. their packaging is some of the cutest drugstore options out there. they are so unique and the products, they all look so luminous. 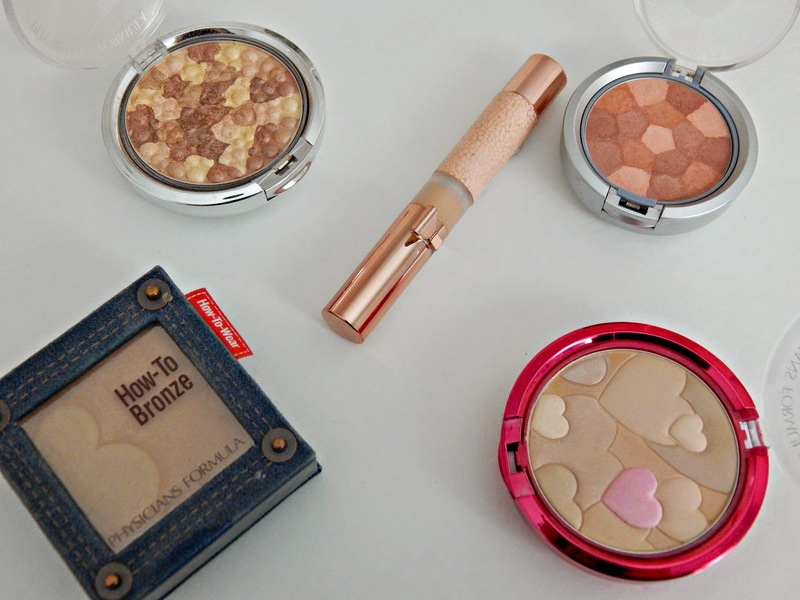 the rich bronzers, the lustrious luminizers, the sparkly eyeshadows. uugghhh a dream! then i began to shell out on average $15 a piece which is very high for me on the drugstore scale. i took my goodies home and looked forward to the application process. it was a bronzer in a cute denimn pocket looking book. i applied it and stepped back to admire my sun kissed face. except i found the same pale girlfriend staring back at me. 'huh, let me reapply' i thought. i did. again. and again. and again. i had to really smash my brush in to get a lot of product on there and dab it on my face. 'there! i love it!' i thought. then an hour went by and as i walked by a mirror i vainly looked into it to admire my new bronzer. pale girlfriend was back. this story mirrors every product i have purchased from Physicans Formula. i have been suckered in by their cute packaging time and time again and i really want to love them but really the color payoff isn't there. that being said the products look cheap once applied to the face. i can't tell one product from the other! the highlighters are chunky and do not go on evenly. the cute concealer with the gold bow on it...well the bow broke in half the same day and the concealer was so pink it looked like i had blended Pepto under my eyes instead. will i be suckered into buying these products yet again? probably because they came out with an Argan Oil line that i am dying to try. i really do want to love them, but so far i have been far from impressed. why must you be so cute though! Well being that I'm a bit of a cheapass, i haven't tried them yet. I do love the fabulous look of all the colors all swirled together too. Boo I'm sad! I keep thinking maybe they were old? Like I said I still want to try their Argan line. I really want to love them!